And the Marani did not disappoint. 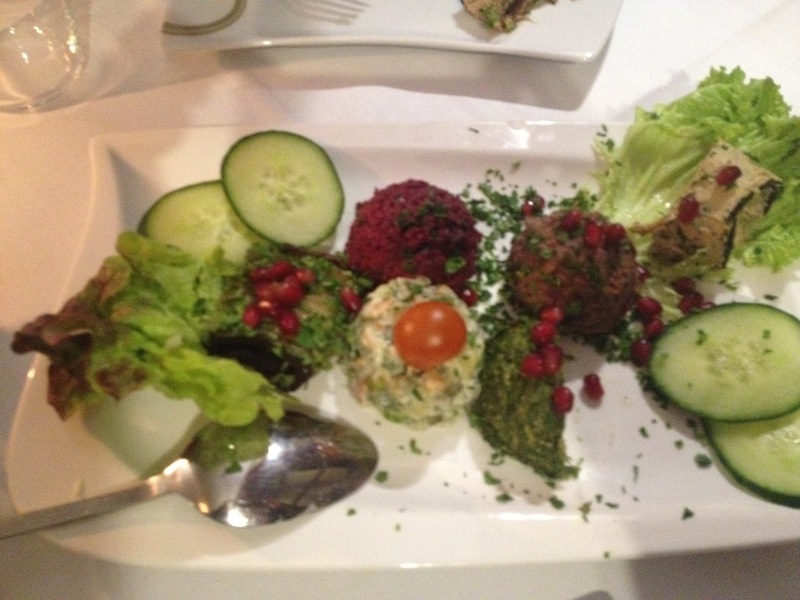 We shared the starter choice which consisted of two different kinds of filled aubergine slices and 4 kinds of salads. Everything was delicious! Sorry for the poor quality of the photo and as usual we started to eat right away. 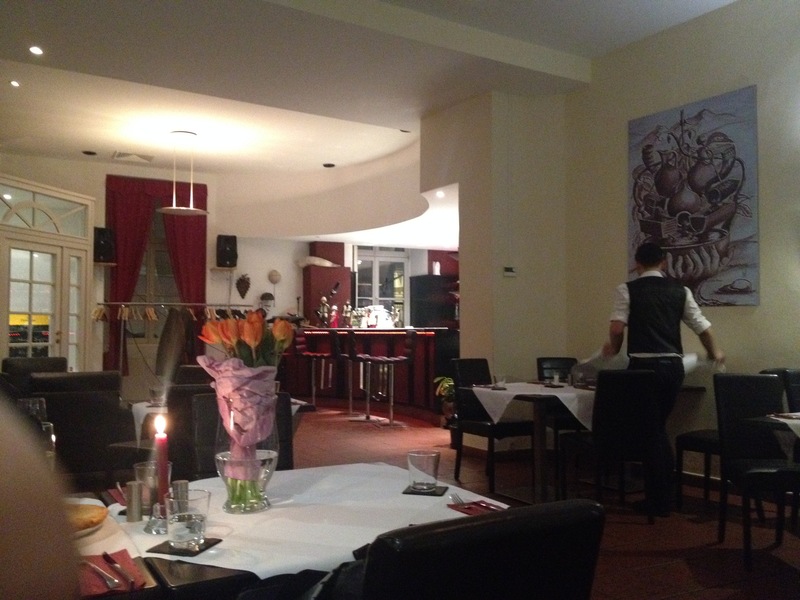 As a main course we had spicy beef and beef in walnut sauce with soft white bread. Also delectable! 8. 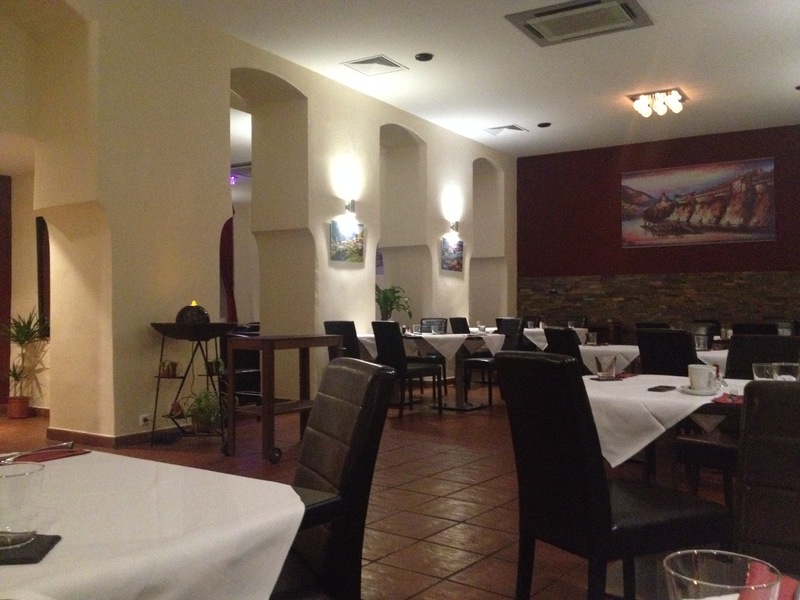 Bezirk, Austria, dining in Austria, dining out with friends, Georgian food, restaurant review, Vienna, Wien. Bookmark. yum! looks good. i hate cold restaurants though… so “not cool.” lol. did u ever try the georgian place in montreal, on decarie? Yeah, the food was really fantastic. The setting doesn’t do it a service though!